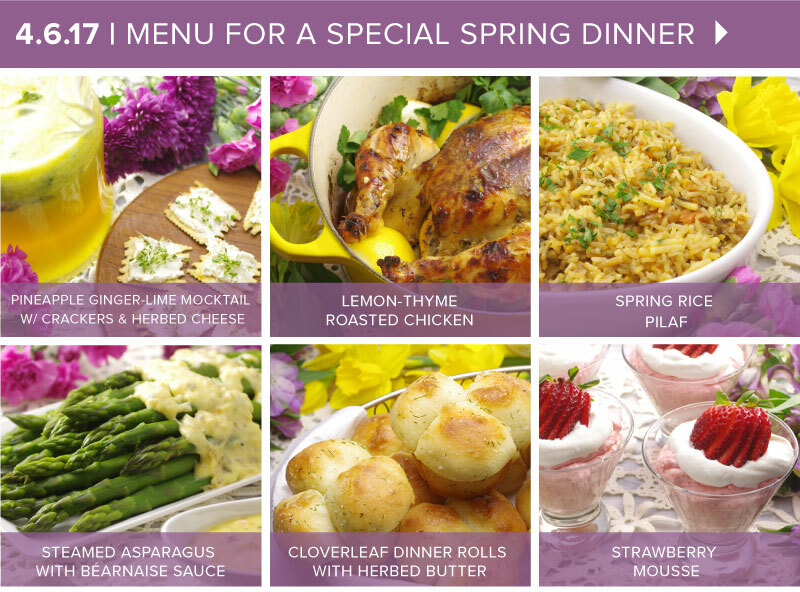 March 17, 2016 - "A Special Springtime Dinner Menu"
Ready for spring??? We are! 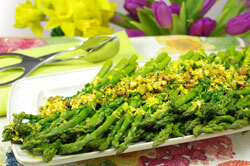 We’re thinking ahead to some special occasions where a spring-themed dinner is called for. 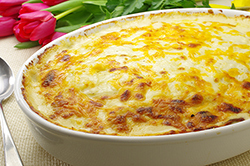 We share our menu and recipes in our latest newsletter. 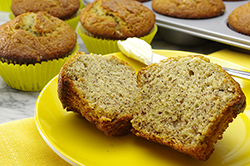 March 3, 2016 - "Mastering Muffin Making"
Would you like to become a muffin master? 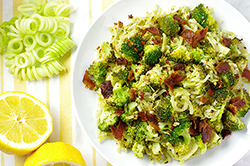 Check out our latest newsletter with all the how-tos needed for success, PLUS, recipes for sweet and savory versions. February 18, 2016 - "Viva Brazil! 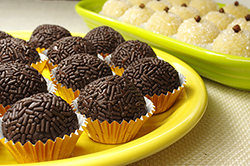 Exploring the Cuisine"
Ready for the summer games in Rio? 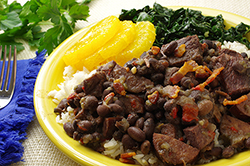 We’re exploring the cuisine of Brazil in our latest newsletter. 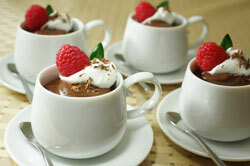 Enjoy learning about something new and delicious. 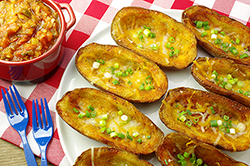 Three easy recipes to try in our latest newsletter! February 4, 2016 - "Melting Hearts with Chocolate Treats"
Where does chocolate come from? 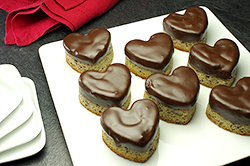 We have the interesting details and three fun chocolate treats to make in celebration of Valentine’s Day -- all in our latest newsletter. 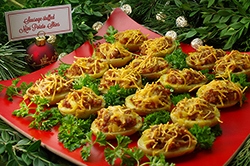 January 21, 2016 - "Time for a Chili Cook-off!" 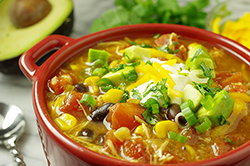 Chilly days = chili season! 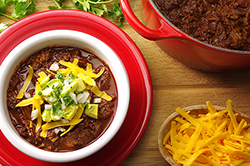 Warm up your day with a bowl of homemade chili. 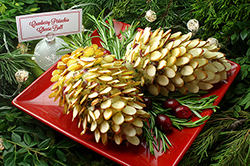 We have three very different, very delicious versions in our latest newsletter. 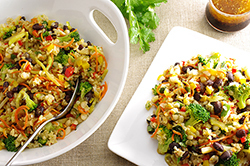 January 7, 2016 - "Eating with a Plant Slant"
Fast, flavorful, and healthy – veggie-grain bowls are just the answer! 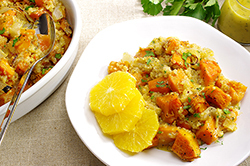 We get you started on the track to healthier eating and more confident cooking in our latest newsletter. 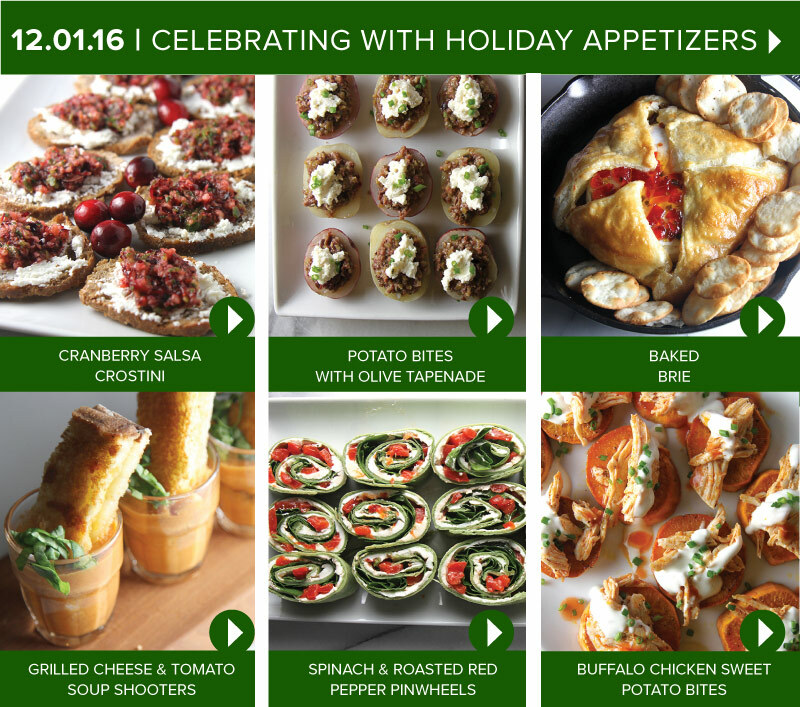 December 17, 2015 - "Nine Appetizers, Holiday Style!" 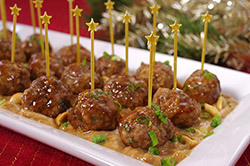 We’re making small bites for sharing this season – three different cocktail meatballs, three crostini, and three party puffs. What a spread! 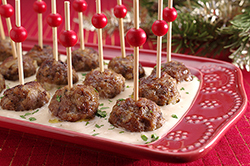 Get the recipes and many party tips in our latest newsletter. 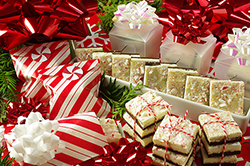 December 3, 2015 - "DIY Gifts from Your Kitchen"
In a season of sweets, sometimes a bit of savory is a welcomed treat! 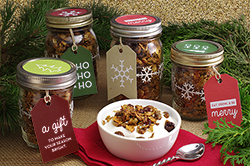 We have three DIY gifts you can make in your kitchen and give to special friends. 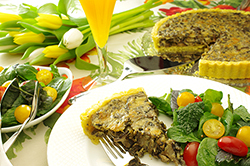 Get the recipes in our latest newsletter. November 19, 2015 - "Eye-Candy for the Holiday Cookie Plate"
Everyone’s favorite – rolled sugar cookies decorated to delight! 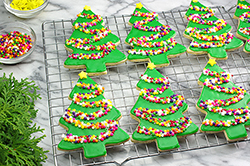 We reveal the secrets that go into making charming cut-out cookies with all the tips and techniques needed for creating eye-catching results. 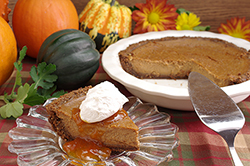 November 5, 2015 - "Save Room for Pie!" 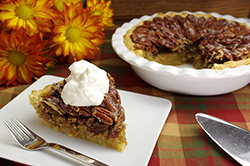 Save room for pie! 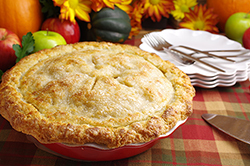 A few good pies are just as essential as the Thanksgiving turkey! 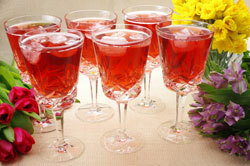 We have three classics, each with a twist, for you to include on your menu. Check out our latest newsletter! 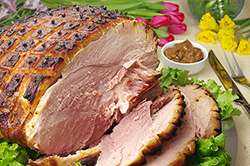 October 22, 2015 - "How to Cook: Roasting and Braising"
It’s back to basics, cooking basics! 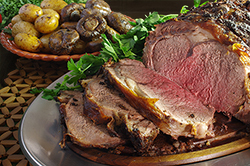 We have the how-to for roasting and braising foods and creating delicious flavors that everyone will love. 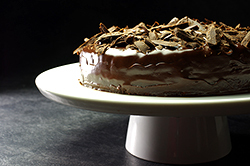 Plus, several recipes to practice on in our latest newsletter. 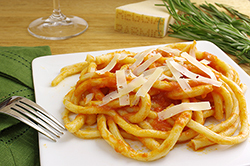 October 8, 2015 - "Fresh Handmade Pasta and Sauces"
Which came first the pasta or the sauce? It’s an unanswerable question – the two go together so well. Make your own fresh pasta and top it with sauce. We have three of each to get you inspired in our latest newsletter! 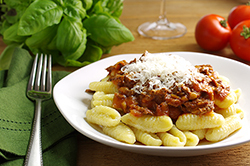 Recipes from Pasta by Hand, A Collection of Italy’s Regional Hand-Shaped Pasta by Jenn Louis. Copyright 2015. Published by Chronicle Books, San Francisco, CA. All rights reserved. 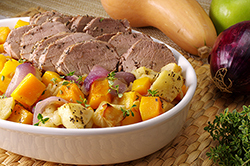 September 24, 2015 - "Fast Weeknight Suppers – One-Pan Cooking"
The humble sheet pan just became your secret weapon for getting a delicious, healthy supper on the table in under an hour! 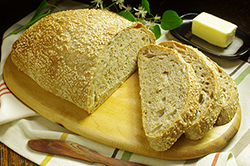 The how-to and recipes in our latest newsletter. 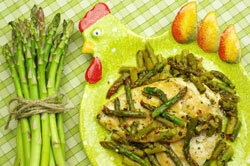 Recipes from Sheet Pan Suppers by by Molly Gilbert. Copyright 2014. Published by Workman Publishing Company, Inc., New York, NY. All rights reserved. September 10, 2015 - "Food on the Move! 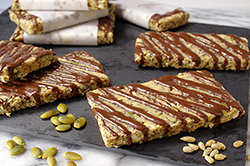 Homemade Power Bars"
It’s a grab-and-go world! 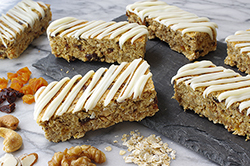 How often do you depend on a “power bar” as a source of quick energy, or for breakfast, or lunch? Make your own! 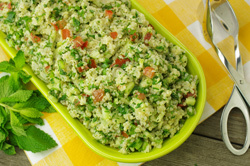 We get you started with three great, nutrition-packed versions in our latest newsletter. 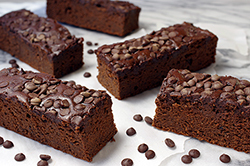 Recipes from Power Hungry, The Ultimate Energy Bar Cookbook by Camilla V. Saulsbury. Copyright 2013. Published by Lake Isle Press, New York, NY. All rights reserved. 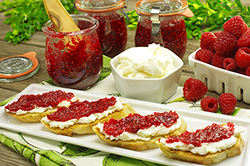 August 20, 2015 - "Summer Fruit - 3 More Delicious Ways to Enjoy!" 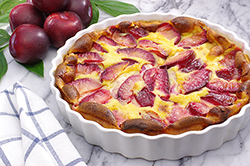 Blueberries, peaches and plums – some of the best, late summer fruits! 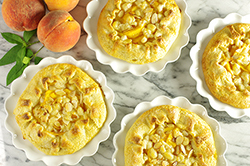 We’re enjoying them in a crunchy crisp, a delectable cobbler, and a custardy clafoutis in our latest newsletter. 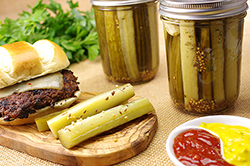 August 6, 2015 - "Pickle Power"
Recipes from Complete Book of Home Preserving by Judy Kingry and Lauren Devine. Copyright 2006. Published by Robert Rose, Inc., Toronto, Canada. All rights reserved. 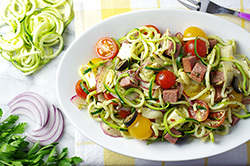 July 23, 2015 - "Zoodles and Other Spiralized Innovations!" 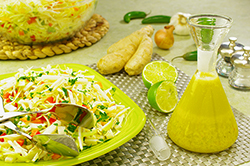 Spiralizing foods has become the latest kitchen trend, and with good reason! 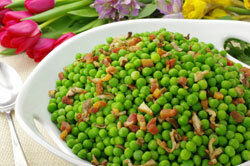 It’s an easy way to love vegetables! 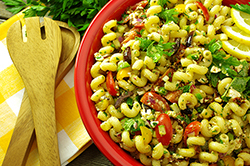 We get you started with the technique and three delicious recipes in our latest newsletter. Recipes from Inspiralized, Turn Vegetables into Healthy, Creative, Satisfying Meals by Ali Maffucci. Copyright 2015. Published by Clarkson Potter/Publishers, New York, NY. All rights reserved. 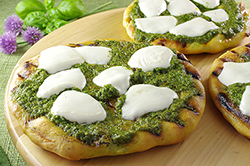 July 9, 2015 - "Grilled Pizzas & Flatbreads"
Summer grilling just became more delicious! 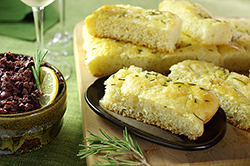 We’re mastering grill-baking techniques with a few artisan pizzas and a fabulous focaccia in our latest newsletter. 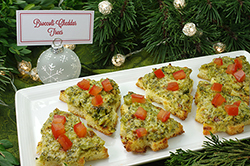 Recipes from Patio Pizzeria, Artisan Pizza & Flatbreads by Karen Adler & Judith Fertig. Copyright 2014. Published by Running Press, Philadelphia, PA. All rights reserved. June 18, 2015 - "Grilling Steaks - Bistro Style!" 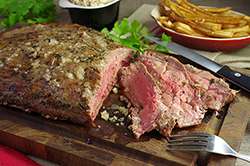 Grill a better steak and create delicious pairings. 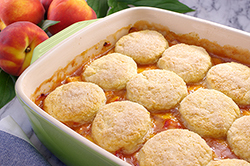 You’ll find three winning recipes in our latest newsletter. 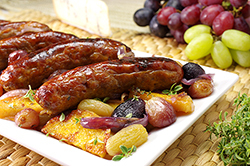 Recipes from BBQ Bistro, Simple, Sophisticated French Recipes for Your Grill by Karen Adler & Judith Fertig. Copyright 2015. Published by Running Press, Philadelphia, PA. All rights reserved. 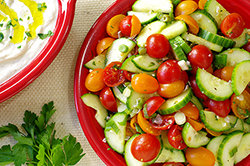 June 4, 2015 - "New, Seriously Good, Summer Salads"
We’re slicing and dicing summer’s produce along with healthy doses of fresh herbs in a trio of new summer salads to enjoy – all in our latest newsletter. Recipes from Bar Tartine, Techniques & Recipes by Nicolaus Balla and Cortney Burns. Copyright 2014. Published by Chronicle Books, San Francisco, CA. All rights reserved. 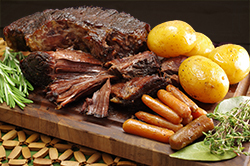 May 21, 2015 - "Smokin' Good Barbecue"
The secret ingredient to great barbecue? 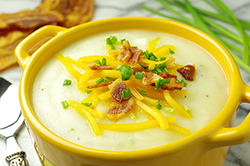 The infusion of smoky flavors and solid sauces to accompany your favorite foods. Plenty of smoky inspiration in our latest newsletter. 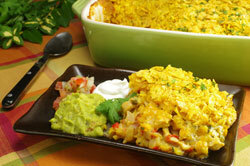 Recipes from Smoke & Spice by Cheryl and Bill Jamison. Copyright 2014. Published by Harvard Common Press, Boston, MA. Reprinted with permission of the publisher. All rights reserved. 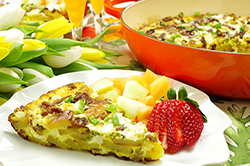 May 7, 2015 - "Make Brunch for Mom!" You’re the center of her life, whether you know it or not! 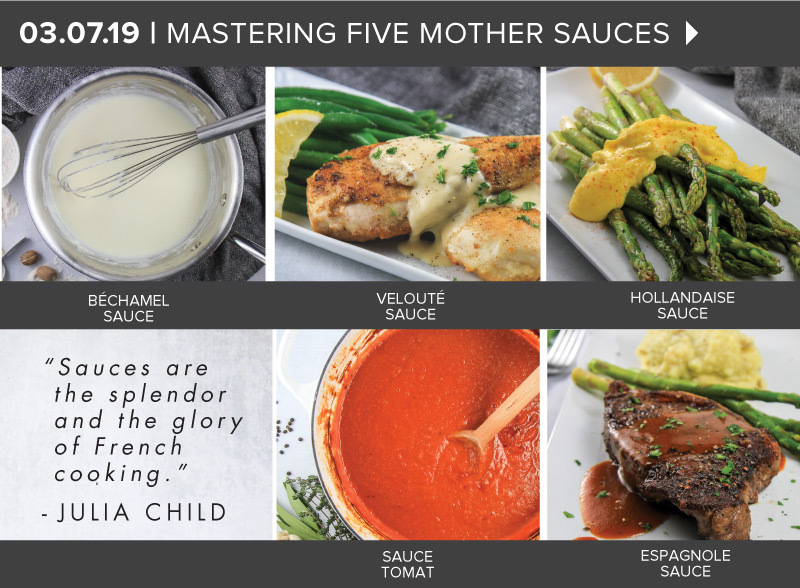 Celebrate Mom with something special – we have a trio of recipes that will make a lovely Mother’s Day brunch in our latest newsletter. 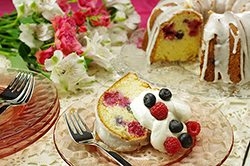 Recipes from Huckleberry by Zoe Nathan. Copyright 2014. Published by Chronicle Books, San Francisco, CA. All rights reserved. 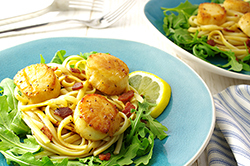 April 23, 2015 - "Fresh and Fast Spring Seafood Dinners"
Looking for healthy and quick-to-make dinners? We have three seafood-based dinner menus that are just that! All in our latest newsletter. 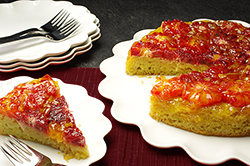 Recipes from Eating in Color by Frances Largeman-Roth. Copyright 2014. Published by Stewart, Tabori & Chang, New York, NY. All rights reserved. 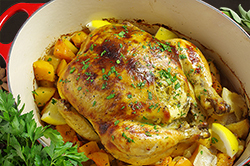 April 9, 2015 - "Chicken Winner Dinners in Under 30 Minutes"
Ok, we get it. Sometimes it’s just about getting dinner on the table. Forget the long list of ingredients, the dozen steps, you need good food, fast. 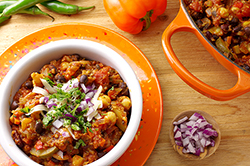 We’ve got you’ve covered in our latest newsletter with fresh, healthy dinners in less than 30 minutes. 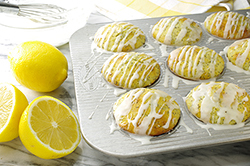 Recipes from Michael Symon’s 5 in 5 by Michael Symon. Copyright 2013. Published by Clarkson Potter, a division of Random House, New York, NY. All rights reserved. 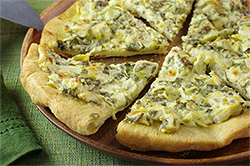 March 19, 2015 - "A Fabulous, Make-Ahead Spring Dinner"
Spring is such a sweet relief to winter! 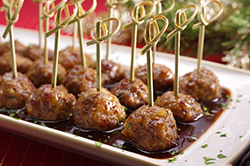 It’s time to mark the season and celebrate with a special dinner worthy of family and friends. We’re focused on dinner success, by making much of it ahead of time. 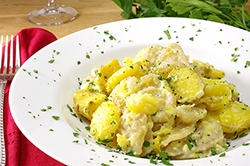 Check out the menu and make-ahead schedule in our latest newsletter. 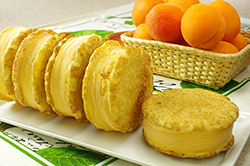 Recipes (Salad, Biscuits, Zabaglione) from Make It Ahead by Ina Garten. Copyright ©2014 by Ina Garten. Photographs by Quentin Bacon. Published by Clarkson Potter/Publishers, an imprint of Penguin Random House LLC. Reprinted with permission. 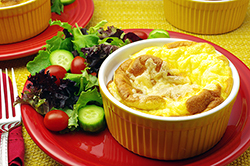 March 5, 2015 - "The Perfect Omelet & More Egg-citing Dishes"
The most versatile ingredient in the kitchen? The egg! 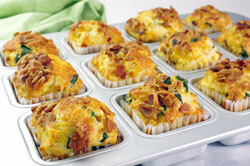 Breakfast, lunch, or dinner, an egg dish is quick, easy, and inexpensive to make. Some eggs-cellent inspiration here in our latest newsletter. February 19, 2015 - "Cooking Great Korean Flavors at Home"
We’re taking a culinary adventure to Korea! 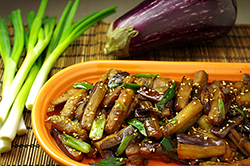 One of many Asian cuisines, you’ll love the recipes in our latest newsletter for barbecued ribs, noodle bowl, and sautéed veggies – all Korean style! 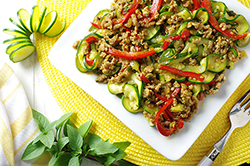 Recipes from Quick & Easy Korean Cooking Reprinted with permission from by Cecilia Hae-Jin Lee. Copyright 2009. Published by Chronicle Books, San Francisco, CA. All rights reserved. 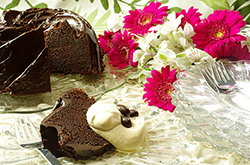 February 5, 2015 - "Sweet Cakes for Special People"
Valentine’s Day is coming soon! 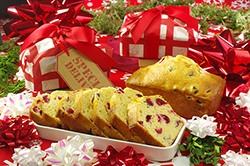 We have three fabulous sweet cakes to share with the loved ones in your life in our latest newsletter. 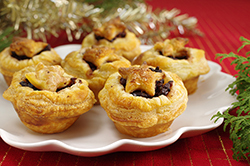 Read here and get baking! 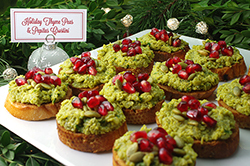 Recipes from Baking Chez Moi by Dorie Greenspan. Published by Houghton Mifflin Harcourt, New York, NY. Copyright 2014. Reprinted with permission of the publisher. All rights reserved. 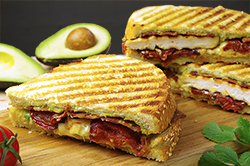 January 22, 2015 - " Pressing Perfect Panini"
An easy supper or game day food, panini are the answer! 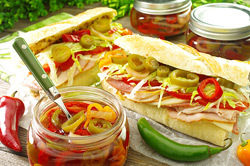 We’re expanding the possibilities of what a good panino can be in our latest newsletter. 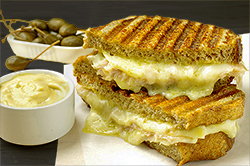 Recipes from The Ultimate Panini Press Cookbook by Kathy Strahs. Copyright 2013. Published by Harvard Common Press, Boston, MA. All rights reserved. January 8, 2015 - " Healthy (& Light!) Soups"
If it tastes good, you’ll eat it, even if it’s healthy! We’re all about big flavor as we pursue a lighter eating regimen these days. 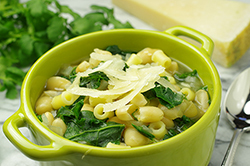 Find just that in three fabulous soups found in our latest newsletter. 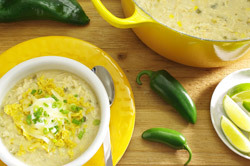 Recipes from The Skinnytaste Cookbook by Gina Homolka. Copyright 2014. Published by Clarkson Potter/Publishers, New York, NY. Reprinted with the permission of the publisher. All rights reserved. 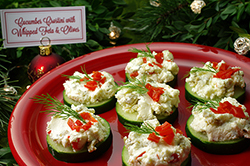 December 18, 2014 - " Easy & Elegant Appetizers"
Tis the season for a little food, fun, and frivolity! 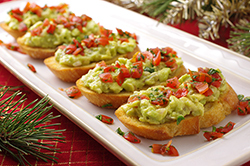 Fuel your get-togethers with delicious food whether you’re hosting, or bringing a dish. 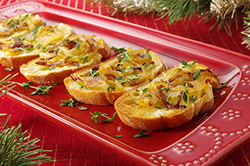 Six appetizers are ready for you in our latest newsletter. 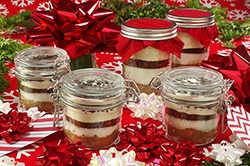 December 4, 2014 - " Quick & Easy Gifts From Your Kitchen"
By December, many of us are ready to move on from pumpkin-spice-everything to other holiday flavors. 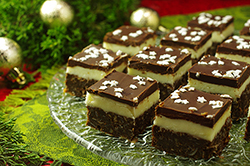 We have peppermint, eggnog, and mocha flavors featured in recipes to make and give, or enjoy yourself -- all in our latest newsletter. 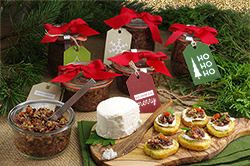 PLUS, printable gift tags! 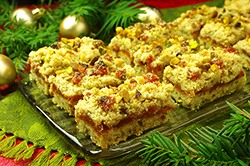 November 20, 2014 - " Festive Holiday Cookie Bars"
It’s cookie time! 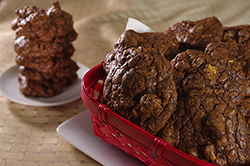 Actually, it’s always cookie time… but baking holiday cookies is a special time. 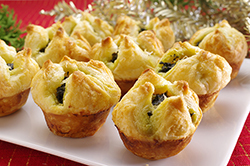 They’re the perfect opportunity for a little kitchen creativity, baking together, and for sharing time and fun with others. 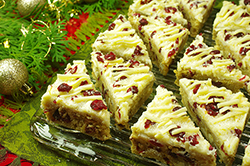 We have three quick-to-make cookie bar recipes that feature delicious holiday flavors. 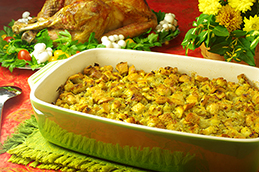 November 6, 2014 - " Fixing the Feast - Do-Ahead Strategies"
Fixing the Thanksgiving feast has never been easier. 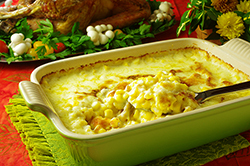 We’ve have all the basics and do-ahead tips you’ll need for enjoying the process and sharing this special meal with others in our latest newsletter. 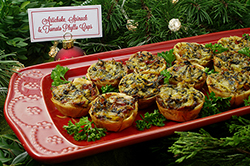 Recipes from Happy Holidays from the Diva of Do-Ahead by Diane Phillips. Copyright 2006. Published by Harvard Common Press, Boston, MA. Reprinted with permission of the publisher. All rights reserved. 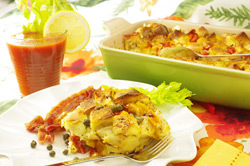 October 23, 2014 - " Making Easy, No-Knead, Artisan Breads"
October 9, 2014 - " Casseroles Get a Makeover!" September 11, 2014 - " New Sauces That Make the Supper"
Transform “blah” to “wow” by adding delicious sauces to the supper plate. 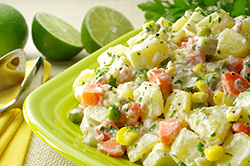 Vegetables have never tasted so good! Learn how in our latest newsletter. 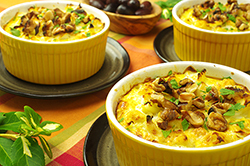 Plus, 10 tips for surviving weeknight cooking! All in our latest newsletter. 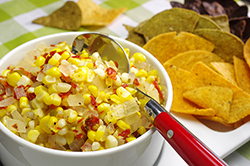 August 21, 2014 - "Tangy Relishes – Fresh from the Garden"
Zucchini, corn, peppers, onions – they’re all busting out of our gardens and into our kitchens. 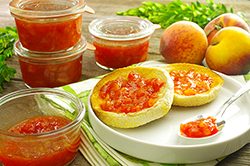 We’ve turned a few of these favorites into tangy relishes that complement all kinds of dishes. Find out how in our latest newsletter. Recipes (Confetti & Pepper) reprinted with permission from Saving the Season by Kevin West. Copyright 2013. Published by Alfred A. Knopf, a division of Random House, Inc., New York, NY. 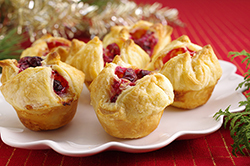 August 7, 2014 - "Sweet Endings - Crostatas, Galettes, and Hand Pies"
Rustic fruit pies are the perfect sweet ending to casual summer meals. 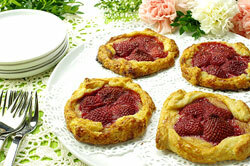 We’re baking a raspberry crostata, summer peach-almond galettes, and incredibly cute blueberry hand pies in our latest newsletter. July 24, 2014 - "Saving Small Batches of Summer!" 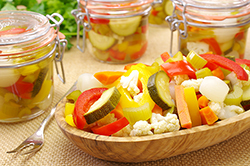 Now this just makes sense – a method for saving and preserving summer’s best in small quantities! 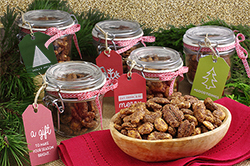 Saving in small batches works with existing equipment, let’s you test recipes, and offers a lot of variety for stocking your shelves! Find out more in our latest newsletter! Reprinted with permission from Preserving by the Pint by Marisa McClellan. Copyright 2014. Published by Running Press Book Publishers, Philadelphia PA.
July 10, 2014 - "Chill Out with Ice Cream Sandwiches!" 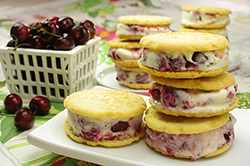 It’s the “in” trend for Summer 2014 – ice cream sandwiches! 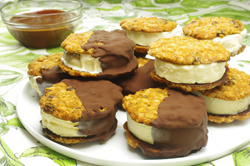 Churn a fresh batch of homemade ice cream, place it between a couple of favorite cookies, and it’s summer nirvana. 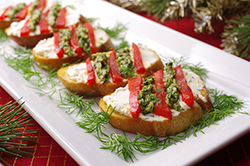 We have some great ideas and pairings in our latest newsletter! Recipes reprinted with permission from I Scream Sandwich! Inspired Recipes for the Ultimate Frozen Treat. Copyright 2013 by Jennie Schacht. Published by Stewart, Tabori & Chang, New York, NY. 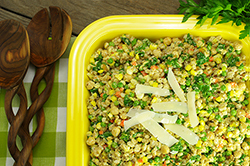 June 26, 2014 - "Garden & Grains - Summer’s Best Salads"
Summer brings the best produce to our kitchens! Some days it’s a challenge to make good use of all that is in our gardens or finds from the market! 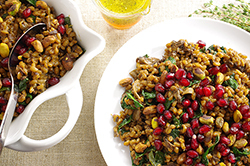 We have three garden & grain salads in our latest newsletter that will have you enjoying “fresh” at its best! 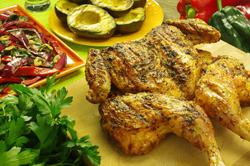 June 12, 2014 - "One Hot Bird - Grilling Chicken Different Ways"
Learn some clever techniques for grilling even better chicken in our latest newsletter. 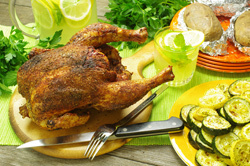 You’ll find tips and techniques for vertical roasting and spatchcocking a chicken. 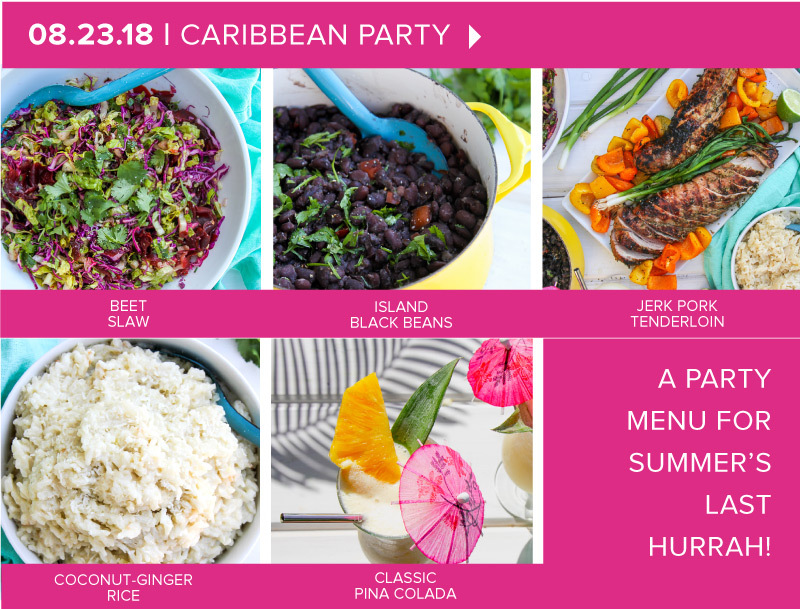 Plus, grilled avocados – oh my! 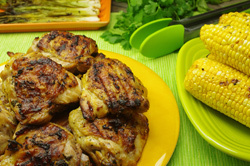 Reprinted with permission from The Grilling Book: The Definitive Guide from Bon Appetit. Copyright 2013 edited by Adam Rapoport. Published by Andrews McMeel Publishing, Inc., Kansas City, MO. 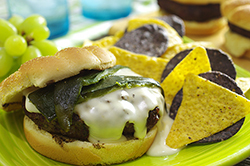 May 22, 2014 - "Kick Those Burgers Up a Notch!" 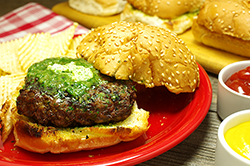 “Mastering burgers on the grill is a worthwhile, budget-minded endeavor. 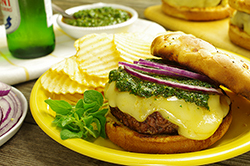 In our latest newsletter, we've uncovered a whole new world of burgers featuring great flavor and endless variety that leaves us anything but deprived. May 8, 2014 - "It’s Not a Party Unless There’s a Cake!" 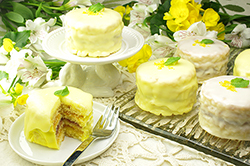 “It’s not a party unless there’s cake!” We have three party-perfect cakes in our latest newsletter for you to make and enjoy at your spring events. 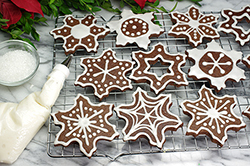 Recipes adapted Nordic Ware, Inc. Used with permission of the publisher. All rights reserved. 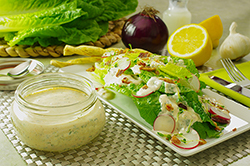 April 24, 2014 - "Vinaigrettes 101 and Other Dressings"
Add zing to bring out the best in spring greens and summer vegetables. 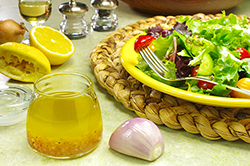 Learn the basics of making your own vinaigrettes and dressings in our latest newsletter. 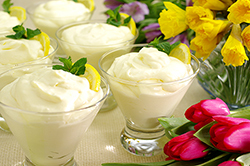 April 10, 2014 - "Springtime Brunch Ideas"
Brunch is on! 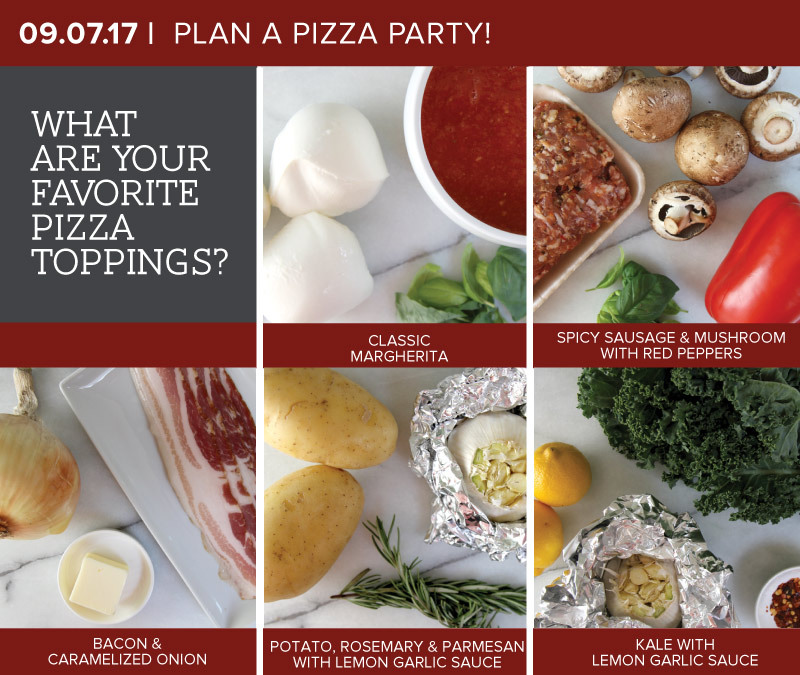 You set the date, we have delicious ideas ready in our latest newsletter. 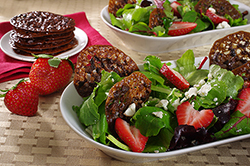 Choose an entrée, add a salad and your favorite beverage, and make it a fabulous day! 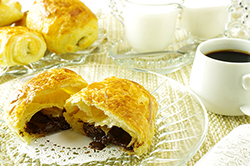 March 27, 2014 - "Enjoying Croissants!" 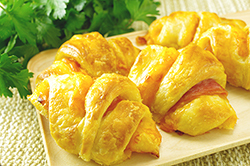 Put plain old bread slices aside for a while and explore the delights of croissants. 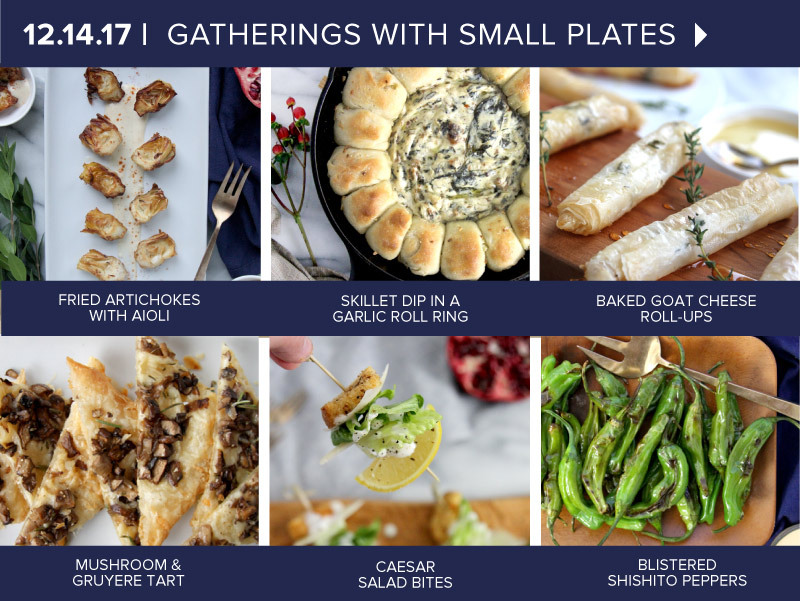 We show you how to enjoy them in 14 creative ways, and even how to make your own in our latest newsletter. 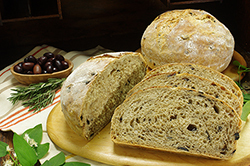 Inspired by Tartine Bread by Chad Robertson Mastering the Art of French Cooking by Julia Child and Simone Beck, and Fine Cooking Issue 97 by Jeffrey Hamelman. 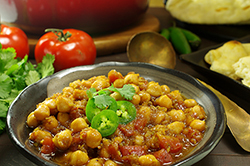 March 06, 2014 - "Indian Cooking Made Easy!" 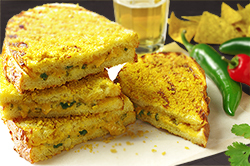 Do you love Indian food? 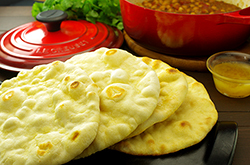 Curries, fresh hot breads? 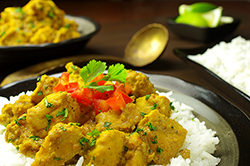 We’re recreating a few delicious Indian dishes in our latest newsletter that we think you’ll love. 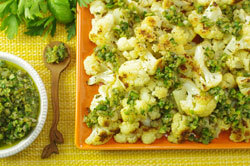 Reprinted with permission from Indian Cooking Unfolded Raghavan Iyer. Copyright 2013. Published by Workman Publishing, New York, NY. ACCESS E-NEWSLETTER ISSUES PRIOR TO MARCH 6, 2015 HERE!